In this captivating graphic novel, Nimona is an impulsive young shapeshifter with a knack for villainy. Lord Ballister Blackheart is a villain with a vendetta. 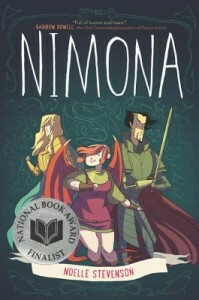 As sidekick and supervillain, Nimona and Lord Blackheart are about to wreak some serious havoc.